Back Translation: Translation of a previously translated text back into its source language. CAT Tool (Computer-Assisted Translation Tool): A tool commonly used by translators to speed up their work. Most CAT tools will divide the source text into segments (see segmentation) and remove the formatting so that the translators can then focus only on the text. CAT tools also remember previous translations, allowing translators to look up the exact expressions used in previous translations and therefore ensuring consistency. Once the translation is finished, the CAT tool exports it into the same format as the original document. 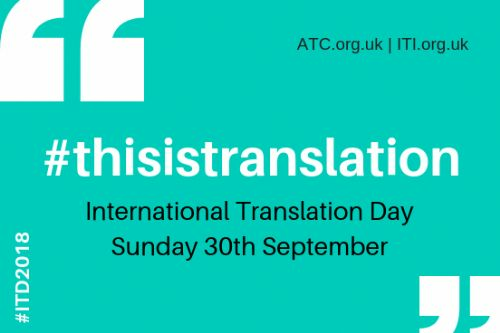 Unlike machine translation, the translations are entirely done by a human, the computer is just used to simplify the format and improve the quality of the end document. Consistency: How often a term or phrase is rendered the same way in the target language. Context: Information outside of the actual text that is essential for complete comprehension (e.g. who the target audience is, the reason for the document, etc.). Culturally-Sensitive Translation: Translation that takes into account cultural differences. Editing: Reviewing and changing a document in order to improve the flow and overall quality of the writing, ensuring that the document makes sense, cutting down on wordiness and clarifying any ambiguity. FIO (For Information Only) Translation or Gist Translation: A rough translation of the source text that allows the reader to understand the essence of the text but that is not intended for publication. Glocal: Combination of the words 'global' and 'local,' description of products or services intended for international markets that have been customized for different cultures, countries or languages. In-Country Review: Editing of a translated text by a person residing within the country where the target text will be used. Internationalization: Planning and preparation stages for a product that is designed to support global markets. Localisation: Adapting or modifying a product, service, or website to a different culture. This does not always include translation, as it could involve adapting a US-based business website to the UK for example. The hashtag #L10N is often used to refer to localisation on social media. Language Pair: Languages in which a translator can provide services. Literal Translation: Translation that closely follows the phrasing, order and sentence construction of the source text. LSP (Language Services Provider): business supplying language services such as translating or interpreting. Meaning-For-Meaning Translation: Translation in which the words used in both languages may not be exact equivalents, but the meaning is the same. Mega-Language: One of the ten most important languages on the web (Chinese, Dutch, French, German, Italian, Japanese, Korean, Portuguese, Russian, and Spanish). Mother Tongue: a person's native or first language, learned naturally, usually since childhood. MT (Machine Translation), also known as Automatic Translation: Using a computer to perform the actual translation with no input from an actual human. The most famous machine translation tool is Google Translate (see previous blog article). QA (Quality Assurance), also known as Quality Control: Reviewing the target text with the purpose of catching errors to ensure the quality of the translation. Register: Level of formality of the text that depends on the terminology, grammar and tone used. Segmentation: Dividing the source text into smaller segments to make it easier to translate, usually based on language construction rules such as punctuation. Source Language: The language in which the original document was written. Source Text: The original document that needs to be translated. Target Audience: Group of people who will receive the information rendered by the translator in the target language. Target Language: The language of the translation. Transcreation: Developing new content (based on existing content) for a given target audience rather than translating existing material.